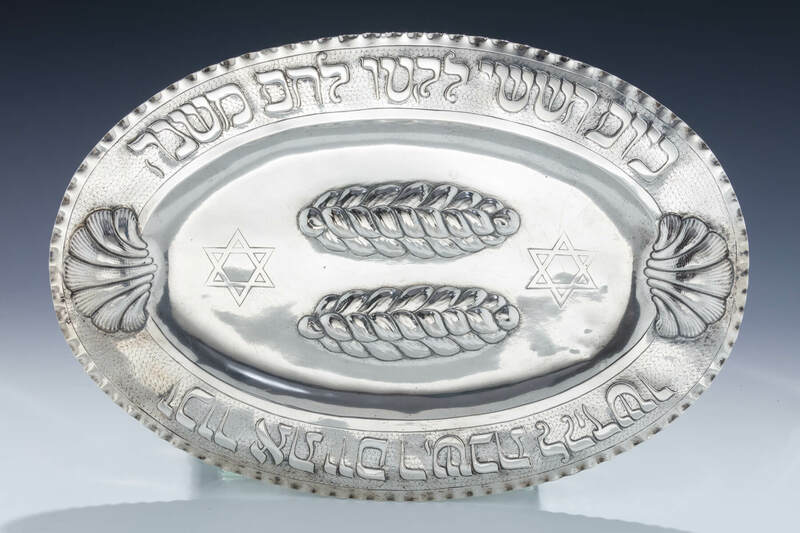 A LARGE SILVER CHALLAH TRAY. Germany, c. 1890. Crimped border. Chased with biblical passage with commandment to “Remember the Sabbath”. Marked 800, crown, moon. 16” x 11.2”.